Wooden screws used in wine and olive oil presses appeared in the Mediterranean region as early as the first century B.C. Since the 15th century, Europeans were known to affix two objects together with the use of metal screws. Then in the late 1700s, the first screw-cutting lathe was invented by instrument-maker Jesse Ramsden, which led to the mass production of screws. Different types of screw heads soon came out in the late 1900s. The Robertson screw with a square head came out in 1908, the Phillips head screw was invented in 1930, and tiny screws often found in gadgets such as iPhones and laptops were introduced in the 21st century. 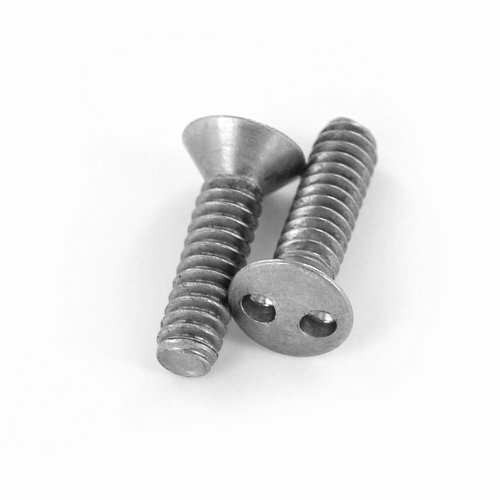 Binding screw heads come with two different sides – a male side and a female side. Binding screws have a slightly domed head, are used for dozens of important projects, and screw into one another for an excellent hold. These screws can be seen holding together numerous book-binding projects and very large manuals, as well as leather, swatches, and many other items. If you want an easy way to remember what binding screws are, think of them as having two parts instead of one, like most screws do, and these parts fit together through a product to make sure the product stays together for a very long time. 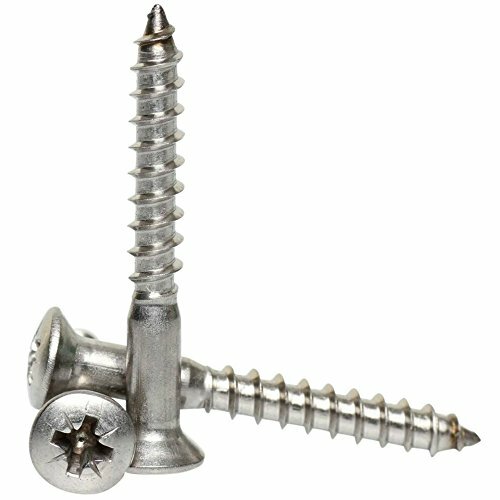 Binding screws can be found in stores such as Lowes, which you can see by visiting them at this link. Used mainly on screws made for drywall and plasterboard, bugle heads are shaped a lot like a flat screw head, the difference being that you see a curved shape made to reduce the damages to a surface, rather than an angle located underneath the surface of the head. Bugle screws are self-drilling, so no pilot holes need to be drilled before you use them. Their unique shape also allows them to distribute stress over a surface that is much wider than that for flat screws. Bugle screws are mostly used to fasten materials that are relatively soft, such as softer woods that are used in products like outdoor decks and modern framing. They should never be used in hard or extra-strong woods. Button screw heads come in a variety of sizes and lengths, and their common characteristic is a small, round, button-shaped head, hence the name. They can be flat or slightly rounded, but they always have heads that look like small buttons. Button screw heads can be found at stores such as Home Depot by visiting them in person or at this link. Domed screw heads are extremely common, much more common than many other types of screw heads. If you don’t have to hide the head of the screw you’re using, like you would if you had a flat head, these screw heads are ideal. Examples include an ottoman that contains decorative screws that actually protrude from the fabric. In this case, the dome shape is appealing as a surface design, and the dome’s flat inner part enables the screw to stop just where it needs to stop at just the right point on the item’s surface. 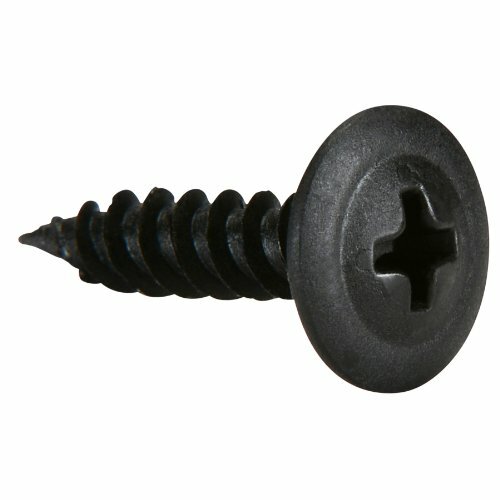 Companies such as eBay carry a wide selection of domed screw heads, which can be found at think link. Pronounced like “Zeus,” these screws are similar to high-torque screws and are often used in various applications in the aviation industry. They can be used to secure access doors that need to be opened and closed frequently, such as inspection panels, but they tend to be too thin or too small to support other latch types. They are quarter-turn fasteners and can be used to secure skin panels on high-performance vehicles and aircraft. 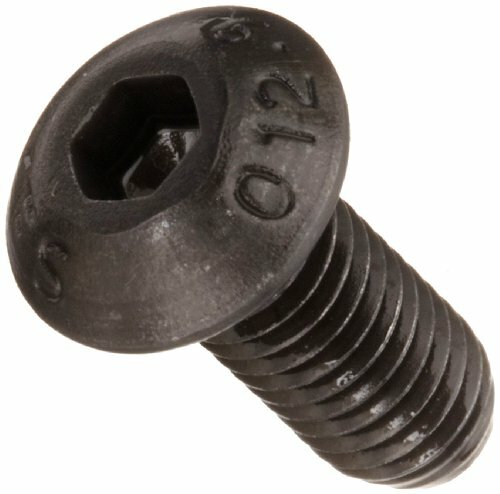 Also known as quick-action panel fasteners, the Dzus screws are usually double-coated with a jet-black paint to add more durability and to give them a more natural look. Also known as frame screws, flange screws have heads that can vary from hexed to circular, and they jut out from a circular flange that is located directly underneath the head itself. The flange part makes the screw easier to remain in its position, and in some projects, it can actually take the place of a washer. Flange screws are most often used in vehicle frames, most commonly in trucks and anywhere else that requires a head bolt of some type. 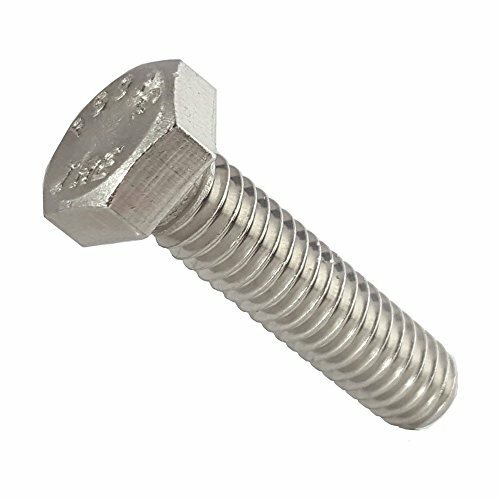 Like its name implies, flat screw heads sit flush with the surface, meaning that none of the head of the screw is exposed. You have to countersink these types of screws, and one of the main benefits of using them is that you don’t have to worry about the screw sticking out above the surface and causing other items to catch on it. This is essential with projects such as creating a customized sofa or building your own bookshelf that you know will be housed in a location where other people will walk past it. If you use a screw cover, you can make the screw head invisible this way as well. Flat screw heads also come in varying degrees, which refers to the head angle, or the angle from the top of the screw head to the surface where the head meets the threaded part. A standard angle is an 82-degree flat head, but 90-degree and 100-degree angles can also be found, among others. In short, the higher the degree, the shorter and more spread out the countersink hole should be. 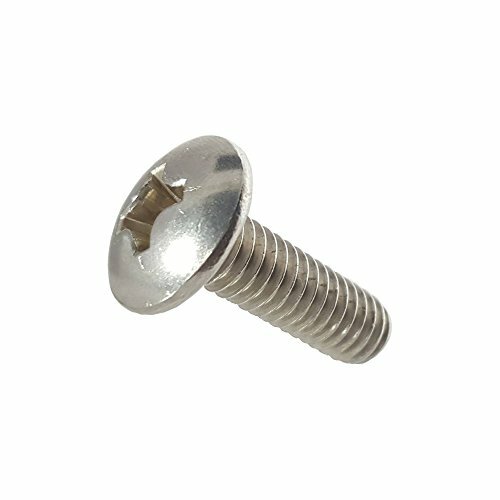 Flat undercut 82-degree screw heads differ only in that they are shorter than the standard 82-degree flat screw heads. 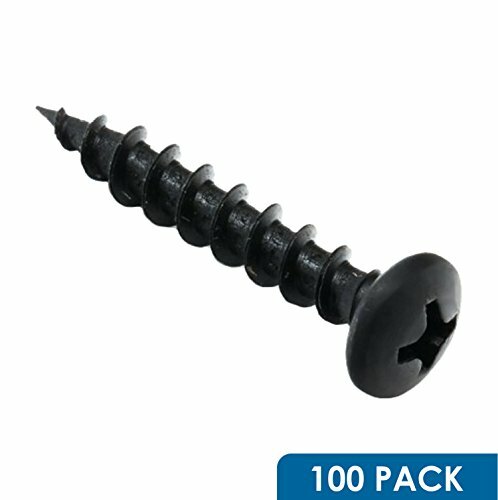 Flat screw heads can be found at stores such as Home Depot, which you can view by visiting this link. 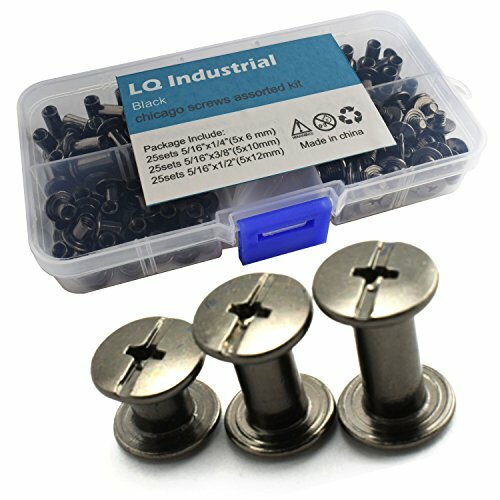 These screws have a head shape that is hexagonal and protrudes from the surface. A few types have built-in flanges, while others have just a full head that is in the hexagon shape. To remove or install these types of screws, you need a socket or a wrench. Since the full head is turned during the action, instead of just the internal portion of the head, you can get great leverage on this type of screw head. A hex internal screw head requires an Allen wrench to remove or install it. They are very common for furniture that requires some assembly, as they are less likely to be damaged by an Allen wrench when you’re installing the screws. If you were to use a slotted or Phillips screw, there may be some damage to the furniture, which no one wants. Hex internal screw heads have an indented shape on the top, which is why they are called internal screw heads. With 12 small teeth that are much finer than those in the TORX, this type of screw has great force distribution. It is similar to the TORX screw in that there is a large area for the driving force, allowing for transferring of high torques. The multi-tooth screw is used frequently in the automotive industry, such as when high torques are needed in order to transfer high-tensile force. It is also a good screw to prevent unauthorized tampering with the screws themselves. The multi-tooth screw has very fine contours and associated engagement with the screw head. Therefore, if the screw head has any dirt in it, it can affect its overall function and cause it to be less than effective. 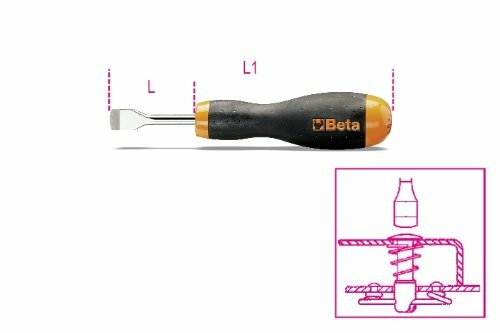 If dirt is present in the screw head, full insertion of the bit is very difficult, if not impossible, which is why the bit can potentially act like a cutter and destroy both the tool and the screw itself. This name refers to the shape of the screw head, although it can come in a variety of designs, including slotted, Phillips, and many others. They come in various lengths and materials as well, but their head shape is always in the shape of an oval. 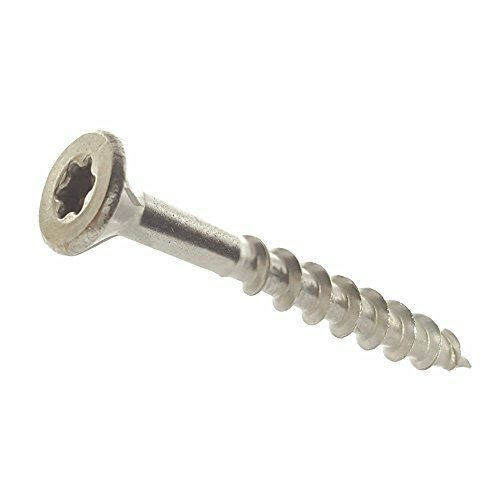 A pan screw is a machine screw with sides that are rounded and flat tops. They are similar to overhead machine screws, but the difference is that with oval screws, the top is rounded as well. Oval screws also have tapered bases, as opposed to the pan screws, which are not tapered at all. Phillips screw heads are some of the most common screw heads available today. The screw itself is a cross shape that works to self-center it in order to avoid drilling at odd angles, which can ruin your project. Because of the way it is shaped, Phillips screws can handle drills due to the fact that its self-centering design enables it to remain in place as you apply the force of the drill. Of course, you still need to be careful when using a Phillips screw because if you use too much force, you can strip the head quickly, which means you may have to start over with that particular part of your project. Phillips screws are found at stores such as Target, which can be found at this link. With a look that is similar to a Phillips screw head, these screw heads have a few more grooves in them, which creates a shape that looks like a star. Although this doesn’t always work, you can sometimes use a Phillips screwdriver to remove Pozidrive screw heads. Pozidrive screw heads provide more stability than a Phillips screw head whenever you’re using force, but you will most likely need a specific screwdriver orbit in order to match the grooves on a Pozidrive screw head. Since the Pozidrive screw looks so similar to the Phillips screws, you can easily tell the difference if you look at the screw from the side. If it is a Pozidrive screw you’re looking at, you will see ribs between each of the four arms, along with the letters “pz” etched onto the screw itself. The Quadrex screw head is also called a Phillips square drive, in part because it is a combination of a square recess and a Phillips recess. It looks a lot like a Phillips screw, but the difference is that the middle section of the cross shape is not pointed, but instead is squared, which helps prevent stripping when you apply a lot of force. 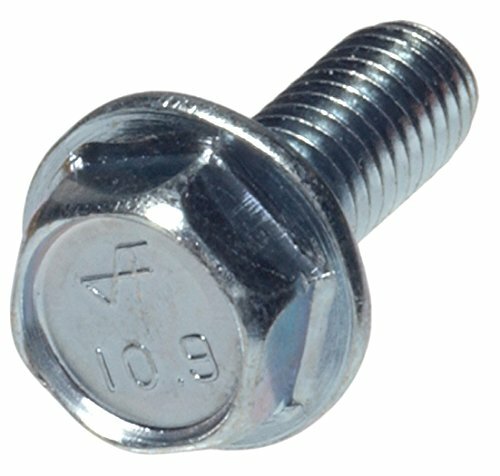 Raised screw heads are sometimes called oval-shaped heads. They have an angle that is similar to flat screws, but the head itself is much more dome-shaped. When working with raised screws, you have to make sure you countersink them in order to accommodate the angle. 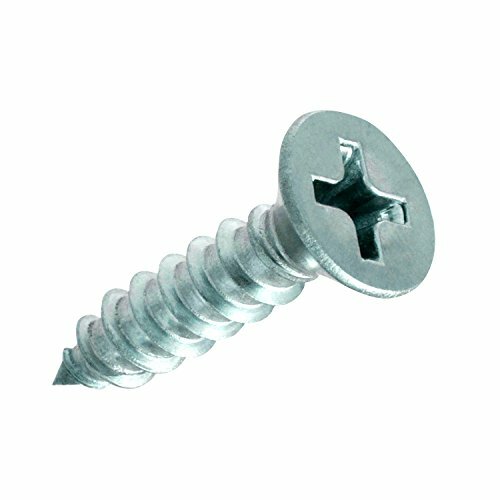 Raised screws are thought to be similar to a flat screw, but a raised screw has a head that will come out of the surface just a bit. The shape of the screw doesn’t always help the drive performance of the raised screw, which is why it is often used more for decoration than anything else. Naturally, round screw heads are those that have very round tops. They can be made of various materials and come in different designs and lengths, but they always have a round head. They can be found at places such as Home Depot at this link. Most people refer to slotted screw heads as flathead screws, in part because there is one narrow opening made for a flat screwdriver. 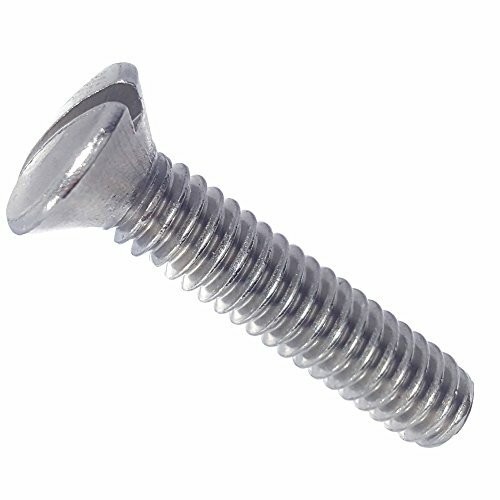 It is a very inexpensive and common type of screw head, but unfortunately, the screw is also very prone to stripping. However, to prevent you from over-tightening them, slotted screws are actually supposed to strip. The screws are best for projects that require only a few screws that you can screw in manually instead of with a powered drill. This, in turn, often causes the screw to cam out or strip. Usually shaped like a hexagon or round-shaped, these screws look like they have a little cap or hat on top of the head, and pictures of them can be found at this link. 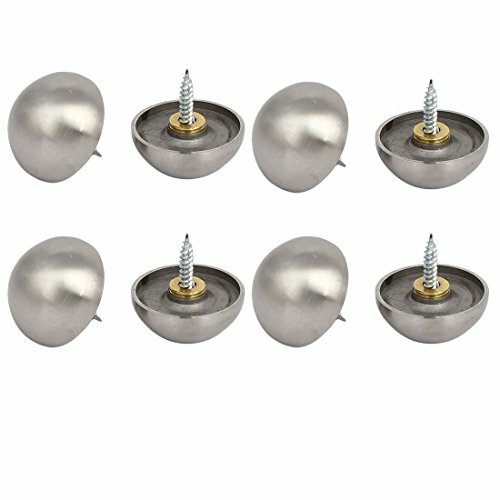 Cap screws come in various lengths and materials, but each of them has heads that look like they’re wearing a cap. 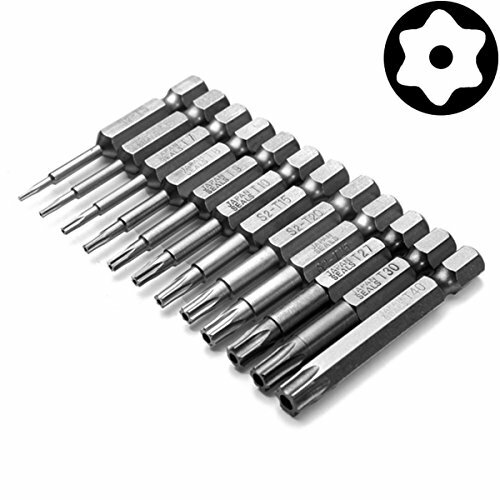 The spanner screw has two rectangular pins, often called its “snake eyes.” Used very infrequently in industry and trade, the spanner screw does have one advantage, and that is the screw head’s surface is only broken by the two small pins, but otherwise, it is very solid. Furthermore, the spanner screw prevents over-tightening of the screw itself. High-stress concentrations and force transmission go together with this type of screw, but because of the two pins, there is less stress on the individual faces. If you wish to transmit high torque, the spanner screw is not one you should use. Also called Robertson’s screws, square recess screw heads have a square center point that helps you avoid cam-outs. The bit you use to drive square recess screw heads also juts out on a square taper, creating a self-holding design so that you won’t have to hold the bit in place, which is very convenient, regardless of the project at hand. Double-square drives, which have two of Robertson’s squares forming an 8-point star in the very middle. For higher torque application, you can use a Robertson’s bit to drive it, or even a special one for the double-square. The triple-square drive, which consists of three Robertson’s squares and creates a 12-point star. These are usually used when you need a lot of force but do not want to strip the screw. You can find triple-square drives on drivetrain components and internal car parts, among other items found on a vehicle. Although TORX screw bits can be found in most people’s drill bit sets, most of these people rarely use them. TORX screw heads have a 6-point star shape in the very middle, and they are used quite frequently in various electronic items, including DVD players and computers. The screws are becoming very popular nowadays for various reasons, including their capability to prevent cam-out, which is crucial when building electronic products. 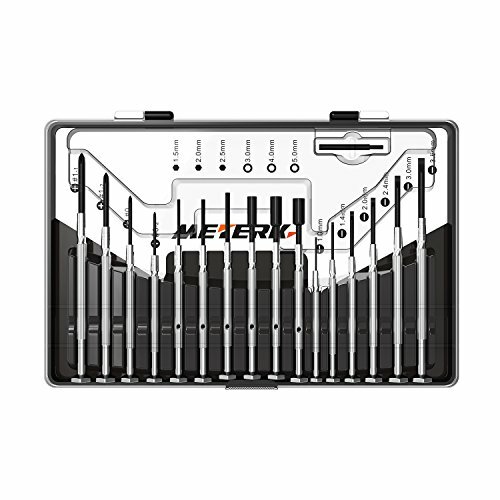 There is also an item called the TORX Plus, which has grooves that are very shallow between the star points because they are made so that a bit or screwdriver can have more contact with the screw head itself, allowing you to put more force on it. McMaster-Carr is just one of the many stores that sell TORX screws, and they can be viewed at this link. Made by the same company that makes the Phillips screws, these are a somewhat new invention. They offer the ability to apply more force than if you use a regular Phillips screw, and they provide more security than most other screws. You will, however, need a special driver to remove and install a tri-wing screw, and because of its deep grooves, you can get more torque when using a drill. 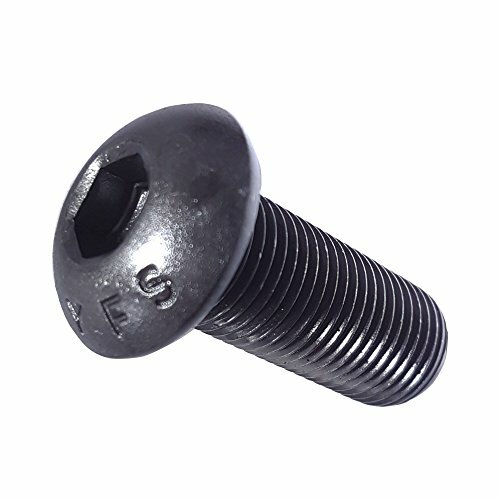 Truss screw heads are a little wider than other screw heads and have a surface that is slightly rounded. If you work with sheet metal and any other projects that require very large holes, you’ll definitely need the truss screws, mostly because their wide head prevents the screw from going through the hole. This chemical has the symbol Al and is soft, silvery-white, non-magnetic, and makes up about 8% of the crust of the earth. It is found combined in over 270 different minerals and has a very low density. Aluminum is perfect for resisting corrosion, and it is often used in the aerospace, transportation, and building industries. The most useful compounds of aluminum are sulfates and oxides. There are many advantages to choosing aluminum for the making of screws, including the fact that they are very light, can be polished to a shine, and have great aesthetic value. Though a little more expensive than other types of metals, they are perfect for making screws. 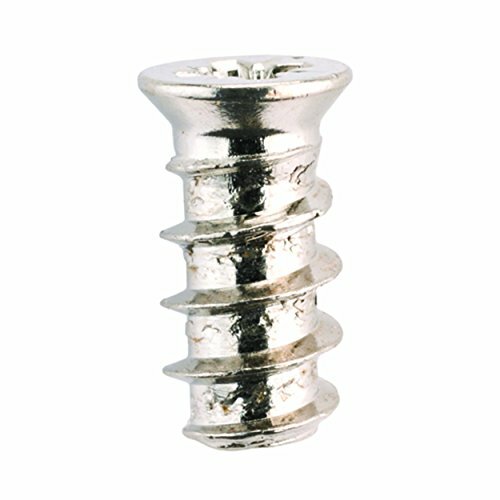 You can find aluminum screws at online stores such as Fastenal, which can be seen here. An alloy made with zinc and copper, brass is a substitutional alloy, which means the two constituents’ atoms can actually replace one another within the same crystal structure. The proportions of copper and zinc vary to create numerous types of brass alloys that have many different electrical and mechanical properties. 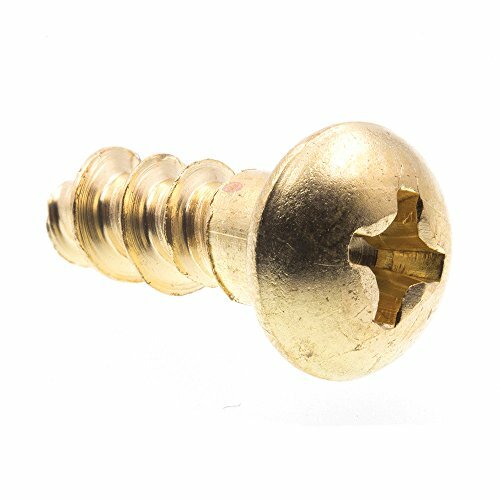 Brass screws offer many advantages over other types. 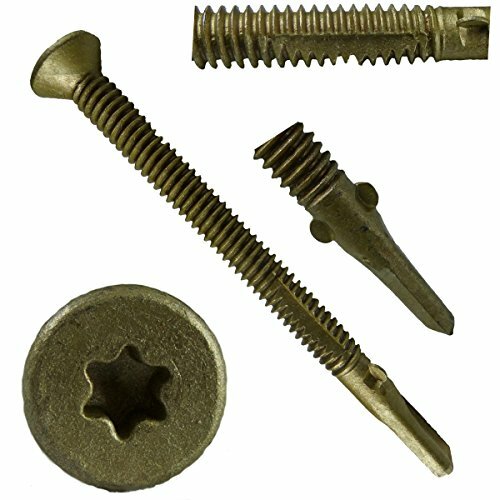 The screws made of brass are water-resistant, anti-corrosive, and aesthetically pleasing, and they are perfect when working with wood, because they are the perfect complement to most types of wood; working outside, because you don’t have to worry about the screws rusting or becoming unattractive; and working in the marine industry, because of their resistance to water, among others. Bronze is an alloy that consists mostly of copper, but it often is made up of roughly 12% tin, as well as metals that include zinc, nickel, aluminum, and even manganese. It can also be combined with some non-metal materials, including silicon, arsenic, or phosphorus. Bronze screws conduct heat and electricity, as well as resist metal fatigue and corrosion better than many other types of screws because bronze does all these things better than most other steels. With its reddish-orange color, copper has the symbol Cu and is soft and malleable. Its ductile characteristic means it has very high electrical and thermal conductivity. Copper can be other colors as well, but a freshly exposed surface is always reddish-orange in color. It is corrosion-resistant, which means you can use copper screws even in saltwater conditions. In addition, copper is often mixed with metals such as nickel to make it stronger, particularly when making products such as screws. Steel is made up of carbon, iron, and a few other elements. It has a high tensile strength and therefore, it is a low-cost metal. It is mainly used in infrastructure, tools, buildings, automobiles, ships, appliances, machines, and weapons. The base metal of steel is iron. There are many different types of steel screws, and the best way to determine which one is best for you is to first determine how much force will be used in the project. For projects where a lot of force will be used, special high-strength steel screws are always recommended. Some steel screws are plated with copper, zinc, nickel, and other metals. Titanium has the symbol Ti and is a silver-colored, low-density transition metal with a lot of strength. It is corrosion-resistant, even when combined with chlorine, sea water, and aqua regia. Because it is both light and strong, screws made out of titanium have dozens of uses. The industries that use titanium screws include the automotive and aircraft industries, although there are others as well. Titanium is slightly more expensive than other metals, but its strength and durability make up for that.